Over 4000sf of finished living space in this full brick Tyandaga beauty. Enter through a private tiled foyer with French doors and a large coat closet to a main floor finished with hardwood, wainscotting, and designer light fixtures. The main floor provides great open concept family space with the sunken living room overlooking the backyard open to an eat in kitchen with espresso cabinetry, updated appliances (2014), and stone counters. Custom built ins surround the natural gas fireplace faced in dark stone with live edge wood details. Sneak away into the formal dining room, formal living room or main floor office all with hardwood floors and neutral designer paint. The second-floor offers four oversized bedrooms all with neutral carpet or hardwood, large closets and updated paint. Enter the master bedroom through double doors into a small hallway with his and her closets. This room offers hardwood floors and a large picture window overlooking the street. Master en-suite renovation is nearly complete with new floors, walk in shower with bench, stone counter and a huge linen cupboard. 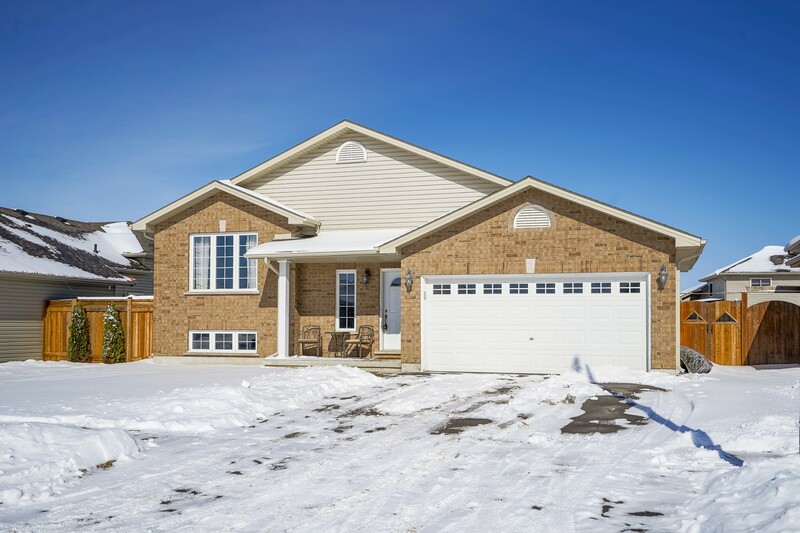 Fully finished basement with private side access provides nanny or in-law accommodations with a separate bedroom and lots of storage all renovated 2016. Unique corner pie lot offers a large inground pool with new liner and heater (16/17) and tonnes of fully fenced space. Full 2 car garage, new furnace 2019.